When I reflect upon my time at Beeson, the doctrine of the Trinity (and all its implications!) represents an area of theology that has challenged my thinking the most. I can’t help but think that I’ve been a functional Unitarian throughout much of my Christian life and ministry. 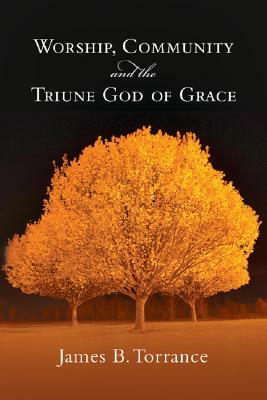 I’ve been reading James Torrance’s Worship, Community and the Triune God of Grace. How have you noticed the Doctrine of the Trinity guide and shape your ministry, your preaching, your worship leadership, your devotional life? Or has it? Love the quote! Reminder that imperatives are formed by their preceding indicatives (i.e., in light of the gospel of grace, then this is how we live faithfully as followers of Christ). Pastorally, I find it is our duty to continue to get folks to revel in the Gospel in a very Trinitarian way: It is the declaration and announcement of what Christ has already done and accomplished in his life, death, and resurrection to do for sinners what sinners could not do for themselves, and in so doing, saving us from the wrath of a holy and righteous God (the Father). And since the Gospel is the power of God at work, we never progress from it, rather the Spirit moves us deeper in it and our sanctification by the power of the Spirit at work in our lives is then getting used to and treasuring our justification that only Christ could deliver. Now, this has radically shaped my preaching as of late, and personally has been bringing about a greater joy in my relationship with Christ than I have ever experienced before. The Gospel is richly saturated in the activity of the Triune God and a constant reminder to Christians of this fact and encouraging them to live their lives reveling in its power and meaning for them is crucial. The Gospel takes us away from performance-based works righteousness we try to come back to over and over again (Michael Horton calls it our native religion as sinners), and reminds us that our relationship with Jesus Christ does not depend on our performance for Him, but Christ’s performance for us. So freeing! I do resonate with your feelings about how much the Doctrine of the Trinity has been challenging me, on many levels. I do not have much more to offer in thoughts on the topic other than I have found myself in the same position and I am being shaped more and more by it in ways that I seem to be unable to articulate adequately. Thanks for your post. Joel, please know that I am praying for your ministry and this final semester for you at Beeson. God is working in and through you in such a powerful way! So much to think about. Thank you, Joel. And Brett, goodness, I enjoyed reading your reflections as well. This is a wonderful topic to ruminate on. Pastorally, I sense the Doctrine of the Trinity shaping my ministry most in listening to others. When I’m truly listening to someone instead of thinking about what I should say next or how I can fix their problem, the Spirit takes control and guides me to a place of understanding that person. Listening requires a dependence on the Spirit, because you have to trust that silence does equal inactivity. The Spirit is searching all things, and guiding toward all truth even when we aren’t tuned in. This, like Brett pointed out, is an absolutely freeing phenomena. So in a way, the Doctrine of the Trinity opens up the doorway to living free in grace. God offers it, Jesus makes it possible and personal, and the Spirit is our guide in graceful living. What about, though, the role of prayer in this? I do not feel adequate to explore the relationship, but I’ve seen in my life a link between the Doctrine of Trinity and ministry. Maybe someone else has more to say on that? Thanks for your insight and for your questions, Joel!